Claude Debussy's most sensuous masterpiece La Mer, and its rich depiction of the sea, powers an evening of oceanic works by Hadley and Chausson. Critically-acclaimed mezzo-soprano Michèle Losier joins the TSO in Chausson's Poème de l'amour et de la mer (Poem of Love and the Sea). These concerts are made possible through the generosity of John H. and Barbara Burson. Winslow Homer (American, 1836–1910), Sunlight on the Coast. Oil on canvas (detail), 1890. 30 1/4 x 48 1/2 in. Gift of Edward Drummond Libbey, 1912.507, Gallery 30B. Image courtesy of the Toledo Museum of Art. Alain Trudel discusses the program for The Majestic Sea this weekend! During the 2018-2019 season, Michèle will sing La Cenerentola at the Edinburgh International Festival, Jane Seymour in Anna Bolena in Bordeaux, and will return at Bastille in Les Troyens with Philippe Jordan. She will appear as Judith in Bluebeard's Castle with Yannick Nézet-Séguin in Montreal and as Idamante in Mozart's Idomeneo at Teatro alla Scalla. She will sing in concert in Scotland, in Toledo and Philadelphia, and give a recital at the Théâtre de la Monnaie in Brussels. 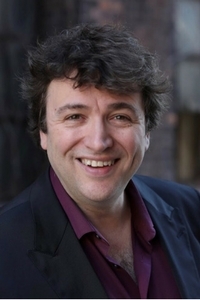 Recent successes include a much acclaimed performance in Terry Gillam's production of Benvenuto Cellini at Opéra Bastille with Philippe Jordan, as well as Cenerentola at Opéra de Lyon. She sang Dorabella at Palais Garnier in a bold production of Così fan tutte directed by Maestro Jordan and staged by choreographer Anne Teresa de Keersmaeker, and Ravel's l'Heure espagnoleat Opéra Bastille. She took part in the Edinburgh International Festival, and gave numerous concerts in her native Canada, including performances at the Festival International de Lanaudièrewith Orchestre symphonique de Montréal and Orchestre Métropolitain. Michèle sang in Melbourne Beethoven's Missa solemnis, Berlioz's Béatrice et Bénédict at Théâtre royal de la Monnaie in Brussels, Berlioz's Roméo et Juliette in London with the BBC Symphony Orchestra and Sir Andrew Davis, and the role of Mercedes in Carmen at the Royal Opera House. In summer 2015, she took part in the OSM Classical Spree Festival where she sang the title role in Carmen under the baton of Kent Nagano. Noteworthy appearances also include Ascanio (Benvenuto Cellini) at the Dutch National Opera,Medea (Charpentier) at Théâtre des Champs-Élysées and Lille Opera, Prince Charmant (Cendrillon) at Opéra-Comique, Nicklausse and the Muse (Les Contes d'Hoffmann) in concert at Salle Pleyel in Paris, at Teatre del Liceu and in Tokyo, Phoebe (Castor et Pollux) at Opéra-Comique, Théâtre des Champs-Élysées and in tour with the Pygmalion Ensemble, Sesto (La Clemenza di Tito) at Wiener Staatsoper and Théâtre royal de la Monnaie, Dorabella (Cosi fan tutte) at Théâtre des Champs-Élysées, at the Royal Opera House and at the Salzburg Festival, and Siebel (Faust) at the Royal Opera House and at the Metropolitan Opera. Michèle also sang Berlioz's Nuits d'été in tour with Emmanuel Krivine and the Chambre Philharmonique, Charlotte (Werther) at Sydney Opera and Opéra de Montréal, Cherubino (Le Nozze di Figaro) at San Francisco Opera and at Washington National Opera, and as Ruggiero(Handel's Alcina) in concert with Marc Minkowski and Les Musiciens du Louvre. The artist’s achievement at the Metropolitan Opera Auditions in 2005 led to her house debut in 2007 as Diane (Iphigénie en Tauride), under the baton of Louis Langrée, alongside Susan Grahamand Placido Domingo. Her success at the Queen Elisabeth of Belgium International Competition in 2008 won her a recital tour of Europe and a recording of the Chansons of Henri Duparc with pianist Daniel Blumenthal, released in April 2009 on the Fuga Libera label. In concert, her projects have included Berlioz's l'Enfance du Christ and a creation from Gilles Tremblay with Montreal Symphony Orchestra under the baton of Kent Nagano, Beethoven's 9th Symphony with the Montreal Metropolitan Orchestra, the Toronto Symphony Orchestra and the Seattle Symphony Orchestra, Ravel's Shéhérazade in Doha with the Qatar Philharmonic Orchestra, Berlioz's Nuits d'Été in Ohio with the Colombus Symphony Orchestra, Mahler’s Kindertotenliederin Belgium, Rossini’s Petite Messe Solennelle in Montreal, Mozart's Requiem with Les Violons du Roy on their U.S. tour, and has given performances at the May Festival in Cincinnati with James Conlon. She also gave a recital during the Festival of Lanaudière in July 2008. Other appearances include Nicklausse at Boston Lyric Opera, Wellgunde (Das Rheingold, Götterdämmerung), Grimgerde (Die Walküre) and Diane (Iphigénie en Tauride) at Seattle Opera,Dorabella at Arizona Opera, Donna Elvira (Don Giovanni) at Palm Beach Opera, Suzuki (Madama Butterfly) at Pacific Opera, as well as Mrs Grose (The Turn of the Screw), Lazuli (L'Étoile) and Mercedes (Carmen) at Opéra de Montréal, a role in which she also made her debut at Teatro alla Scala under the baton of Daniel Barenboim. She distinguishes herself in the sacred works of Rossini, Vivaldi, Handel, Dvorák and Bach, and in recitals in the masterpieces from the lied and song repertoire, from early music to contemporary works. Since her debut in 2002 at Opéra d'Avignon as Dorabella, Michèle has sung with prestigious conductors such as Louis Langrée, Patrick Fourmilier, Emmanuel Plasson, Marc Minkowski, Jérémie Rhorer, Stephane Denève, Emmanuelle Haïm, François-Xavier Bilger, Sebastian Lang-Lessing, Nicola Luisetti, Daniel Barenboim, Sir Colin Davis, Evelino Pido, Placido Domingo, James Conlon and Yannick Nézet-Séguin. An alumnus of McGill University, Michèle Losier was also a member of the San Francisco Opera's Merola Program, the Opéra de Montréal's Atelier Lyrique and the Juilliard Opera Center in New York. She has been the recipient of a number of grants and scholarships, including those from the Jacqueline Desmarais Foundation, the Conseil des Arts et des Lettres du Québec, the Canada Council for the Arts and the Sylva-Gelber Foundation. She is a First Prize winner at the Journées de la Musique Française in 2000, the Vocal Division of the Canadian Music Competition in 2001, and of the Mélodie Française category of the Chant de Marmande International Competition in France.